Plenty of Storage: Features cargo-style pockets. Built to Last: Reinforced knees for comfort and durability. Long-Lasting: Made with fade resistant fabrics. Adjustable Comfort: Pants have waist adjustments for your comfort. 7.75 oz. poly/cotton twill with stain-release finish. EMS style pocket on each leg. Double hook and bar waist enclosure. 6.5 oz Nomex® III, twill weave. Side adjusters at the waist for custom fit. 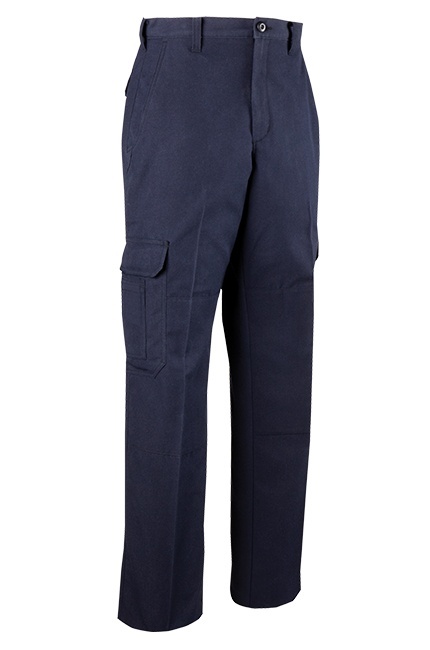 Reinforced quarter-top front pockets, triple-bellows leg pockets and rear welt pockets with flaps. 6.0 oz Nomex® III, plain weave. Double-layered reinforced knees and seat.